Zenicure Labs is one of the Top PCD Pharma Company In Chandigarh. 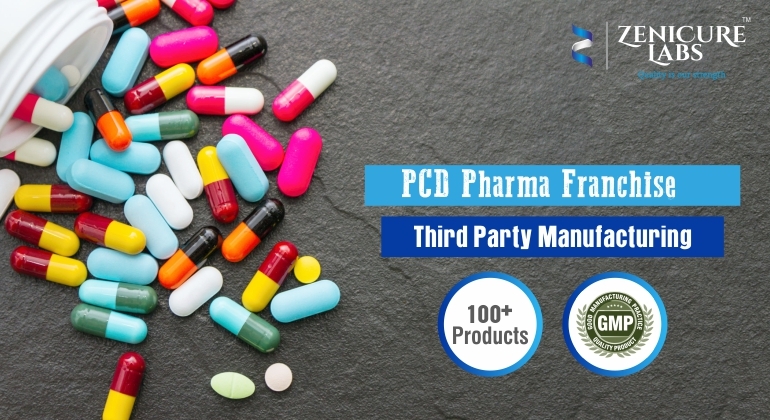 It’s a sole proprietorship firm engaged in manufacturing and supplying of the qualitative array of the pharmaceutical syrup, Pharmaceutical Tablets and Pharmaceutical Capsule. These Products are in the movement for their accurate composition, high efficacy, long shelf life and so side effects. The products sold by us come with the brand name ‘Zenicure Labs’. We have able to provide maximum client satisfaction. OUR MISSION:We will discover, develop and successfully market pharmaceutical products to prevent, diagnose, alleviate and cure diseases. OUR VISION:Our vision is to be a leading pharmaceutical company in India and to become a significant global player by providing high quality, affordable and innovative medicine and treatment.